Want to look attractive and adorable tonight? 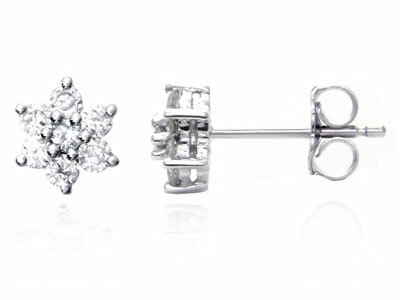 These stud earrings will definitely get you the splendid style that you have ever wanted. Designed with white gold, the earrings form a sweet flower on the top. Furthermore, to give you more luxurious feeling, the flowers carry sparkling diamonds on the top. With it, everybody would be captivated by your great-looking appearance.